Cory is a young tooth fairy in training who wants to be anything but that, except there's no way the Tooth Fairy Guild or her mother will let that happen. After yet another bad night on the job, Cory quits to explore other things--like babysitting an adventurous Humpty Dumpty, helping Suzy organize seashells by the seashore, and attempting to finally rid the spiders that plague Marjorie Muffet. But it isn't until Marjorie asks Cory to help set her up with a boy that Cory taps into a power she never knew she had. As she tries to understand her new-found romantic visions, will Cory finally discover her own true path? Just as she did with her Wide-Awake Princess series, E.D. Baker spins a tale that is poised to launch her to the top of the fairy tale canon with a new series that fans of Gail Carson Levine and Diana Wynne Jones. 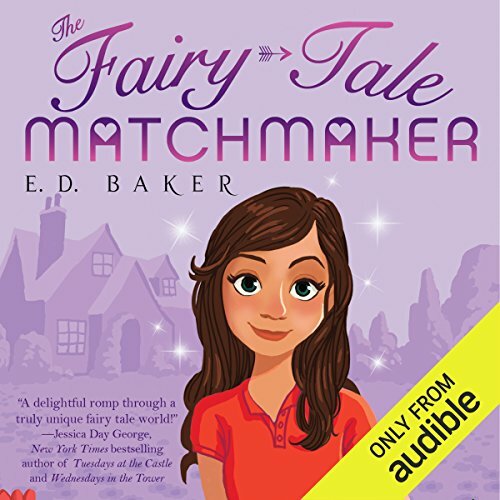 ©2014 E. D. Baker (P)2014 Audible Inc.
Cory is a young tooth fairy in training who wants to be anything but that, except there's no way the Tooth Fairy Guild or her mother will let that happen. After yet another bad night on the job, Cory quits to explore other things--like babysitting an adventurous Humpty Dumpty, helping Suzy organize seashells by the seashore, and attempting to finally rid the spiders that plague Marjorie Muffet. But it isn't until Marjorie asks Cory to help set her up with a boy that Cory taps into a power she never knew she had.